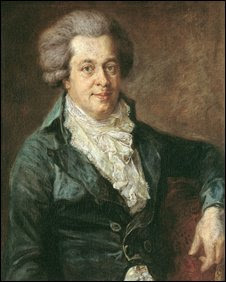 Home » history , medicine , music , science , wolfgang amadeus mozart » Mozart killed by strep throat? Mozart killed by strep throat? That's what researchers are now saying about the famous composer. Instead of foul play or fouler pork, it might have been nothing as mundane as an infection of streptococcus that took Mozart's life at the age of 35. Read the rest of the story here, including all kinds of neat details about gory death in the Austrian Empire.